An unforgettable saga of love, loss, and exhilarating change spanning half a century in the lives of a restless family, from the author of the acclaimed novel The Law of Dreams. The O’Briens is a family story unlike any told before, a tale that pours straight from the heart of a splendid, tragic, ambitious clan. In Joe O’Brien—grandson of a potato-famine emigrant, and a backwoods boy, railroad magnate, patriarch, brooding soul—Peter Behrens gives us a fiercely compelling man who exchanges isolation and poverty in the Canadian wilds for a share in the dazzling riches and consuming sorrows of the twentieth century. When Joe meets Iseult Wilkins in Venice, California, the story of their courtship—told in Behrens’s gorgeous, honed style—becomes the first movement in a symphony of the generations. Husband and wife, brothers, sisters-in-law, children and grandchildren, the O’Briens engage unselfconsciously with their century, and we experience their times not as historical tableaux but as lives passionately lived. At the heart of this clan—at the heart of the novel—is mystery and madness grounded in the history of Irish sorrow. 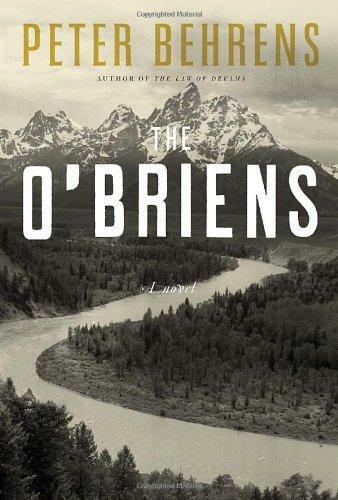 The O’Briens is the story of a man, a marriage, and a family, told with epic precision and wondrous imagination. Peter Behrens is the author of The O’Briens and The Law of Dreams (which received Canada’s Governor General’s Literary Award for Fiction and was published around the world to wide acclaim) and Night Driving, a collection of short stories. His stories and essays have appeared in many publications, including The Atlantic and Tin House. Honors he has received include a Wallace Stegner Fellowship from Stanford University’s Creative Writing Program.